Purgatory Golf Club in Noblesville tops most Midwestern golfer’s bucket lists. Spread across 218 acres, Purgatory is the longest par-72 course east of the Mississippi River. Purgatory plays a short 4,200 yards, or for the more daring golfer, a 7,700 yard championship tee. Golfers who play at Purgatory Golf Club will find themselves in need of some serious refueling after-the-fact, but thankfully the Historic Noblesville Square is only a chip shot away. Barley Island Brewing Company and Copper Still Kitchen & Bar are foolproof options for a hearty lunch or cold beverage. Three Pete Dye golf courses are in the mix as well. The Fort Golf Resort, located at Fort Harrison State Park, offers a lush landscape of mature trees along the hilly course. Prairie View Golf Club, in Dye’s hometown of Carmel, is Hamilton County’s most awarded golf course. Golfers will get a taste of Indiana history as they play amongst native prairie grass whispering in the wind. After playing a winning round at Prairie View, golfer’s can explore Carmel’s many dining options for a meal before the next tee time. Bub’s Burgers and Ice Cream and The Pint Room in the Carmel Arts and Design District and Matt the Miller&apos;s at Carmel City Center offer classic American fare. 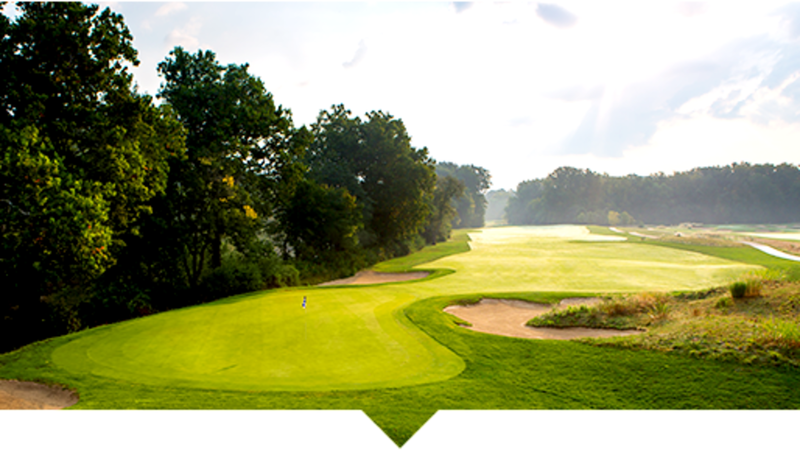 The Brickyard Crossing Golf Course offers an exclusively Indiana experience as well. Housed inside the Indianapolis Motor Speedway, the Brickyard has played host to many senior PGA championships over the years. Bear Slide Golf Club is a premier golf course offering a Scottish links style front nine and a traditional style back nine. The unique design by Pete Dye of Plum Creek Golf Club was specially routed for varying degrees of difficulty so the whole family could enjoy the game. River Glen Country Club runs alongside the White River and is lined with towering trees resulting in a golfing experience that is at once challenging and inspirational. Wood Wind Golf Club is a beautiful course complete with rolling hills, winding creeks, glistening ponds, large trees and more than 90 bunkers. With the golf courses in Hamilton County, any combination of rounds are guaranteed to make the trip worth swinging by. Additional courses are available for online booking powered by GolfNow. To get inspired for your Hamilton County golf getaway, be sure to follow us on Facebook, Twitter and Instagram.